I'm still catching up from the holidays, so the following post is a repeat. 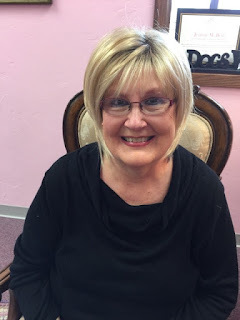 It was first published in the Sweet Americana Sweethearts blog in March, 2017. 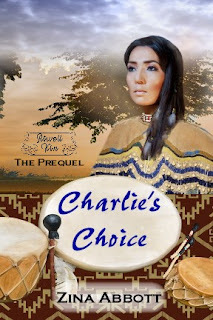 Due to my most recent book, Charlie's Choice, being on preorder, this timely post will give some insight into the tribe in which Charlie's mother lived. One of my favorite characters in my books, Kizzie's Kisses and Otto's Offer is Charlie Gray Cloud, a man in his late twenties who is half Kaw. 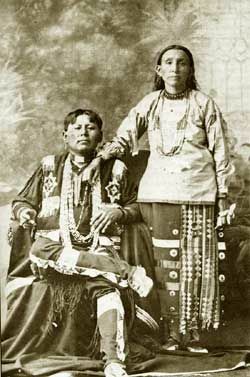 The Kaw Indians, also known as Kansa Indians, are the tribe that gave their name to both the river that joins the Missouri River at Kansas City, and to the state of Kansas. 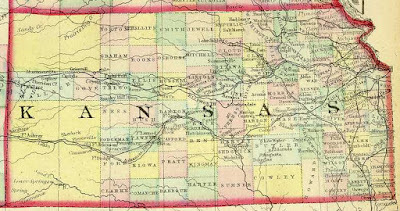 The Kansa tribe of farmers and hunters lived along the Kansas River, a tributary of the Missouri and extended from Kansas into Nebraska. They were a strong, proud, war-like people who fought with other tribes, the fur traders and white soldiers and settlers before signing a number of treaties which culminated in their forced removal to reservations. The Kaw Nation derived its name from the Siouan word for “south wind,” which was the tribe’s role in war ceremonials, using the power of the wind when recognizing warriors. 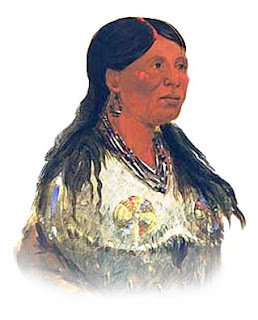 Among the many variations of the name given by French traders and other Europeans were “Kanza” or “Kansa.” By the mid-18th century, the “Wind People” were the predominant tribe in what became the state to which they gave their name (Kansas). Their territory extended over most of present-day northern and eastern Kansas, with hunting grounds extending far to the west. The Kaw, along with the Osage, Ponca, Omaha, and Quapaw — technically known as the Dhegiha-Siouan division of the Hopewell cultures of the lower Ohio Valley —lived together as one people in the lower Ohio valley prior to the white invasion of North American in the late 15th century. Sometime prior to about 1750, the search for better sources of game and pressure from the more powerful Algonquians to the east prompted a westward migration to the mouth of the Ohio River. The other tribes moved up and down the Mississippi and Missouri Rivers, and the Kaws assumed control of the region in and around present-day Kansas City as well as the Kansas River Valley to the west. The French explorer Bourgmont was the first European known to visit the Kaws in 1724. He found them living in a single large village near the future site of the town of Doniphan, Kansas, on a bluff overlooking the Missouri River. In 1780 the Kaw abandoned this village and took up residence on the Kansas River, but the ruins of their earlier village were long a landmark for travelers. When Lewis and Clark ascended the Missouri, they noted passing the site of the “old village of the Kanzas” on July 2, 1804. In the past, each Kansa band was led by a chief who was chosen by a tribal council. 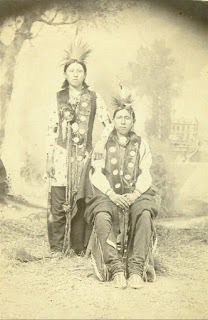 Kansa men were hunters and sometimes went to war to protect their families. Kansa women were farmers and did most of the child care and cooking. 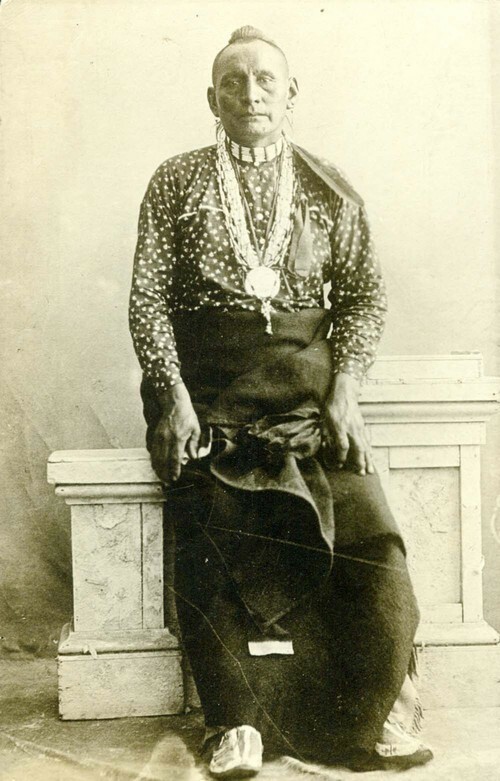 Only men became Kansa chiefs, but both genders took part in storytelling, artwork and music, and traditional medicine. The Kansa Indians lived in settled villages of round earthen lodges. These lodges were made from wooden frames covered with packed earth. 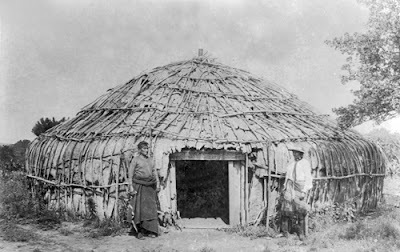 Kansa houses were very large (more than fifty feet across) and several families shared the same lodge. When Kansa men went on hunting trips, they often used small buffalo-hide tipis (or teepees) as temporary shelter, similar to camping tents. Unlike other Plains Indian tribes, Kansa families did not normally live in teepees. The men wore a blue or red breechcloth with a belt, deerskin leggings, moccasins with no ornamentation, and sometimes a blanket over the upper part of the body. Shells, beads, or metal ornaments were attached to the rim of the ear, sometimes to great profusion, and long slender hair pipes were common. Kaw men shaved their heads, leaving only the scalp lock uncut. Sometimes the edge of the lock was colored with vermilion, or an eagle feather was inserted. On top of the head a roach (headdress) might be worn, made of deer tail, dyed red and parted longitudinally by a silver spreader (James, 1823). For my character Charlie Gray Cloud, I used a combination of the photographs of these two men to visualize what he might look like and how he may have been dressed. 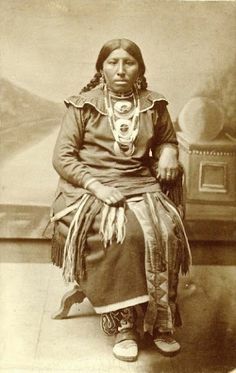 Kaw women wore moccasins, knee-length leggings of blue and red cloth, a skirt and occasionally a cloth thrown over one shoulder. The hair was worn long, parted in the middle, the part colored with vermilion. Like the men, many of the women tattooed the body. 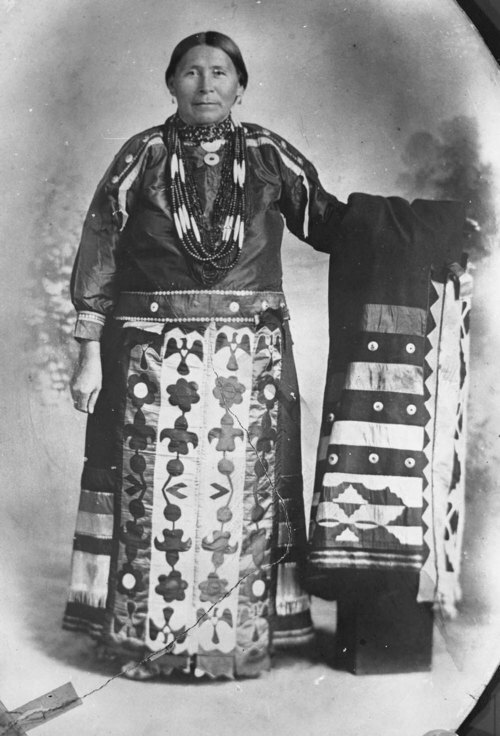 Kansa artists are famous for their native weaving, beadwork, and hide paintings. One of the best early records of the Kaw people came from the 1832 visit by the artist George Catlin. 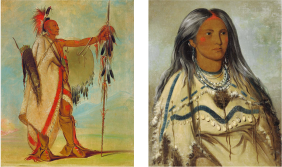 His paintings of Kaw people preserved images of the dress styles of the time. The food that the Kansa tribe ate included crops of maize, beans and squash and fish caught in the rivers. In the summer the hunters provided a variety of meat, especially the buffalo. The religion and beliefs of the Kansa tribe were based on their belief in the Great Spirit and Animism that encompassed the spiritual or religious idea that the universe and all natural objects animals, plants, trees, rivers, rocks, mountains etc. The Kansa religion involved vision quests and many different spirit beings, or wakan, who held different powers. Demographers have estimated that, as a consequence of the white man’s diseases (principally smallpox, cholera, and influenza), their population had been reduced perhaps to less than 50 percent, down to about 1,500 men, women and children by 1800. Even so, the Kaws presented a formidable obstacle to American expansion into the trans-Missouri West following its acquisition of this vast region by the Louisiana Purchase of 1803. From their villages and small vegetable farms in northeastern Kansas and later along the Kansas River west of present-day Topeka, Kaw warriors maintained control of the lower Kansas valley against both the white man from the east and alien tribes to the west. Kaw hunters also engaged in semi-annual hunting expeditions onto the plains of western Kansas. In 1804, the Lewis and Clark expedition (1804 - 1806) shortly after the Louisiana Purchase pulled this territory under the dominion of the United States. Members of this expedition attempted to make contact with the Kansa tribe, but the people were on a buffalo hunt. 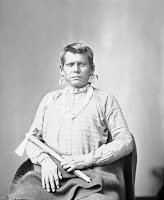 In September of 1806, A grand council was held between Zebulon Pike and James Wilkinson and various chiefs of the Kansa, Pawnee and Osage Nations. However, this turned out to be monumental events for the region, for the expedition returned east with favorable reports of the region. This prompted emigration to the region and the establishment of Kansas City, one of the trade centers and jumping-off points for travelers heading further west. However, this was not the first contact with Europeans. Prior to that, due to their location at the junction of two major rivers, they came into contact with both the Spanish and later the French.which established trading posts in the region. Contact with Europeans resulted with a devastating smallpox epidemic killed many people in 1801. Between sickness and inter-tribal warfare, the number of Kansa people declines dramatically. In the early 1800s, the Kaw’s domain extended well beyond the present-day borders of Kansas. 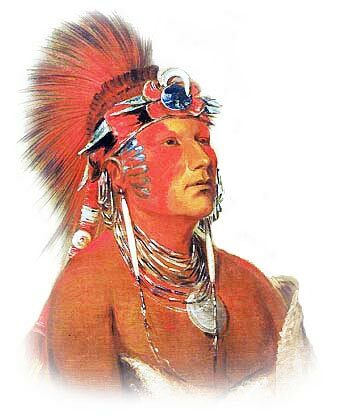 From 1780 to 1830 the Kaw lived at Blue Earth Village on the Kansas River, at the site of present-day Manhattan, Kansas. The Kaw probably moved to the Kansas River Valley to be closer to the buffalo herds on the Great Plains. The tribe increasingly depended upon buffalo hunting for its subsistence and less on agriculture. Also, living on the Kansas River gave them access to a rich territory of fur bearing animals to trade to the French for guns and other commodities. Unfortunately, this movement west also made them more vulnerable to attack from powerful enemies such as the Pawnees. Lewis and Clark noted that they were "reduced by war with their neighbors." 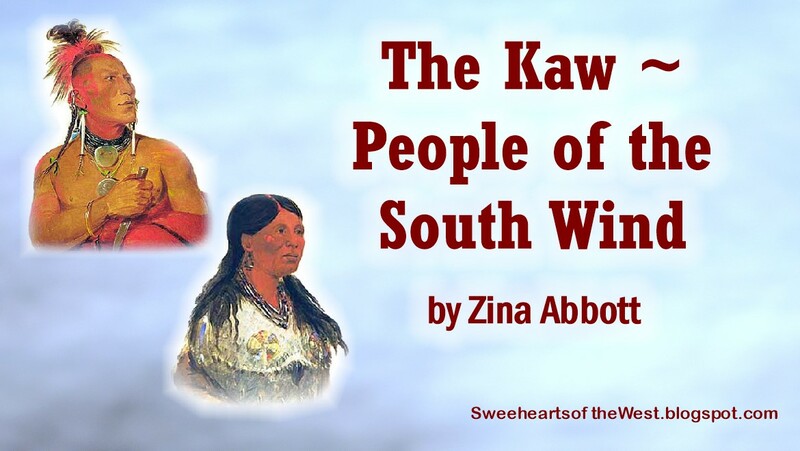 They estimated the Kaw to number 300 men—about 1,500 persons in all. 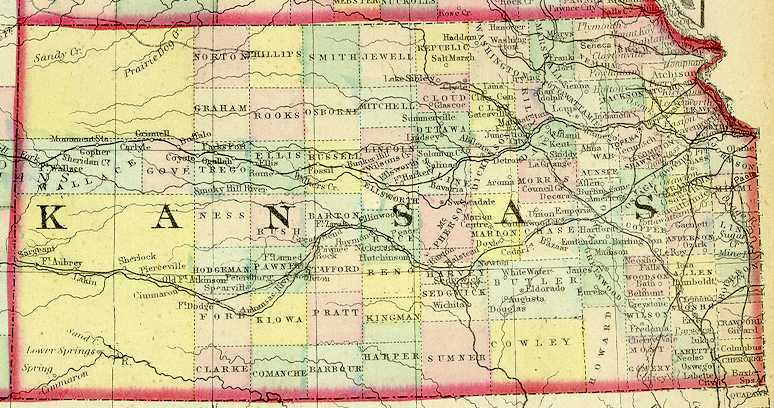 In 1825, the Kaw ceded a huge area of land in Missouri and Kansas to the United States in exchange for a promise of an annuity of $3,500 annually for twenty years. The promised annuity—to be paid in goods and services—was often late in arriving or found its way into the pockets of unscrupulous government officials and merchants. The Kaw were indifferent to the pleas of government agents and missionaries that they take up farming as their sole livelihood. Meanwhile, the Kaw faced smallpox epidemics in 1827–1828 and 1831–1832, which killed about 500. During the same period the tribe split into four different competing groups living in different villages, a consequence of rivalry between three groups of conservatives, who favored retaining traditional ways, and one group under White Plume which favored accommodation with the United States. Important in the latter group were 23 mixed bloods, the sons and daughters of French traders who had taken Kaw wives. 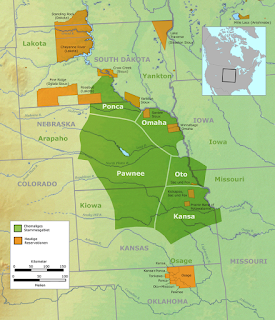 Due to pressures from encroaching white men and decimation by disease and warfare, and a flood that destroyed their crops in 1844, in 1846, the Kaw sold most of their remaining land and the federal government forced them onto a 20 square-mile reservation surrounding Council Grove, Kansas. Council Grove is a beautiful area of forests, water, and tall grass prairie. About 1,000 people, struggling with disease and starvation, lived in three nearby villages. However, Council Grove was probably the worst location that could have been selected for the already weakened and demoralized tribe. It was a favorite stopping place for the rough-mannered teamsters and traders and greedy merchants on the Santa Fe Trail. The first Kaw arriving there were beaten up by traders. The flourishing whiskey trade in Council Grove was detrimental to the Kaw. Whites invaded Indian lands and sporadic efforts by soldiers to force them off the reservation were ineffective. 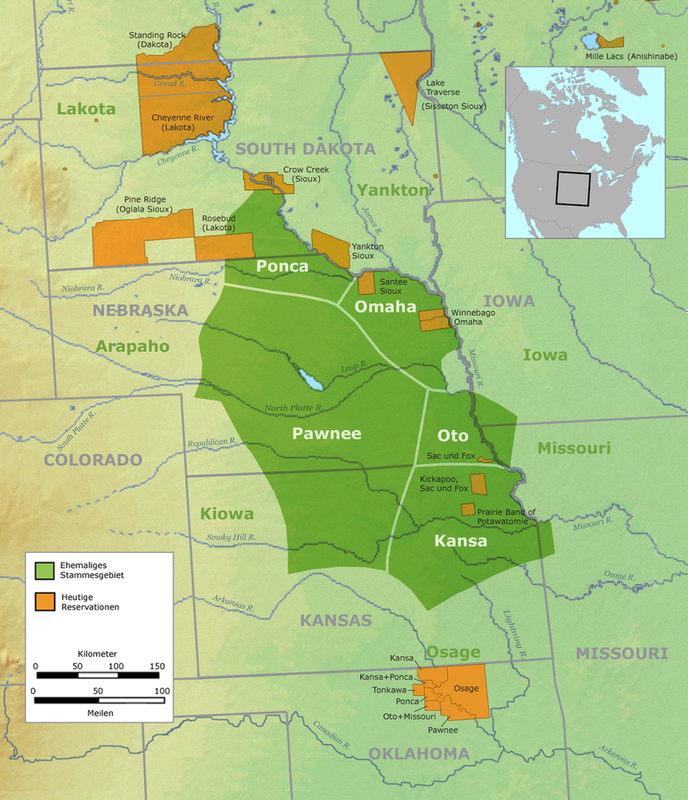 In 1860, the Kaw reservation, overrun by White settlers, was reduced to 80,000 acres. The Kaw lived on the reservation for less than 30 years when, despite an impassioned plea to Congress by Chief Allegawaho in 1873, the US government relocated 600 kaws to a new reservation in (present-day Oklahoma). After writing two books about the same family, I decided to make them part of my own series, Atwell Kin. Books 2 and 3 have been published. Book 1, Virginia's Vocation, is scheduled for publication in April, 2019. Right now, Charlie's Choice, Book 0, the prequel, is on preorder. 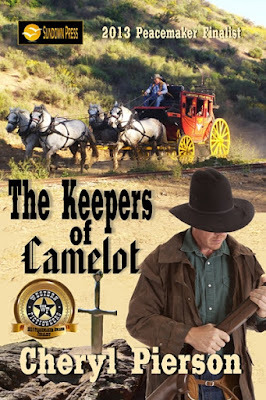 It is offered at a preorder sales price of $.99 through the release date of January 5, 2019. If you have already read Kizzie's Kisses or Otto's Offer, you have already met Charlie. This is his story and his romance which takes place 1856-57. 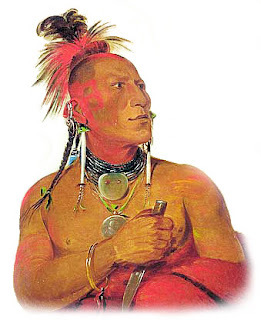 He is the link to remind us that before the white Americans came to Kansas, a tribe of people already lived there. 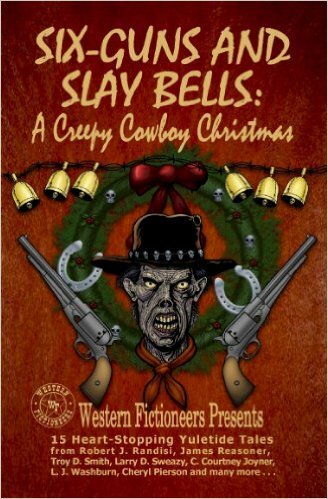 This story was a finalist for the 2013 Western Fictioneers Peacemaker Awards in the Short Fiction Category. It also received a specific mention in Publishers Weekly when the anthology came out. Here’s a bit about the story itself. Were you a fan of “Gunsmoke” when it was a radio and TV staple? Although I wasn’t aware of the radio show, my family never missed the TV version. 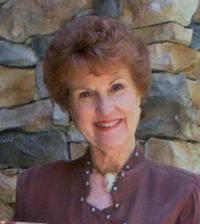 At the time we watched “Gunsmoke”, I had no idea that the character of Miss Kitty was based on a real person. That woman was Carlotta J. Thompkins, also known as Lottie Deno, Mystic Maude, Angel of San Antonio, Faro Nell, Queen of the Pasteboards, and Charlotte Thurmond. 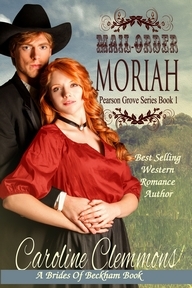 She and Frank Thurmond were immortalized as Faro Nell and Cherokee Hall in a series known as the Wolfville books, written by Alfred Henry Lewis. Lottie was born April 21, 1844 to upper-class Kentucky farmers near Lexington and Louisville. At one time, her father served in the Kentucky General Assembly. The area traded with both northern and southern states and her father traveled a great deal on business. He grew tobacco and hemp as well as engaging in horse trading, racing, and breeding. With her younger sister, she attended school at an Episcopalian convent. After completing her education there, the attractive redhead traveled with her father on business to such destinations as Detroit, New Orleans, and Europe. He had no son and intended Lottie to take over his business for him. 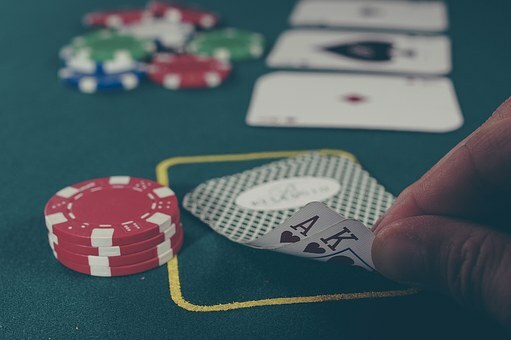 While on these trips, her father taught her the intricacies of gambling with cards. Mary Poindexter was Lottie’s seven-foot tall nanny. Mary was loyal to and protective of Lottie. Her family didn’t have to worry about Lottie as long as Mary was with her. On several occasions, Mary saved Lottie from harm. When the Civil War began, Lottie was seventeen. Her father enlisted and was immediately killed in battle. She, her mother, and sister were left tending the plantation. Relatives pooled money and sent Lottie to Detroit in the hope she would find a wealthy husband to help her family. She loved the parties and balls, but instead of finding a suitable husband, she met up with Johnny Golden, one of her father’s former jockeys who had become a gambler. Eventually, Lottie ran out of money. She and Johnny, accompanied by Mary, struck out plying the riverboat gambling parlors throughout the war. She sent her relatives money but knew they wouldn’t have approved of her gambling. 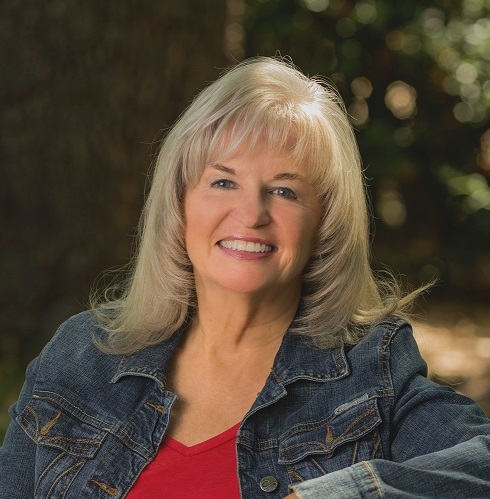 She told her straight-laced Episcopalian family that she had married a wealthy Texas rancher. Some say she never saw any of them again while others insist her sister came to San Antonio after their mother’s death. Near the end of the war, Lottie and Mary headed for San Antonio. At the time, the town was well-known as a wide-open gambling town. Johnny Golden was to meet up with them there later. Lottie found a job dealing in Frank Thurmond’s University Club, with Mary seated on a stool behind her to watch for trouble. It was a winning hand that earned her a new name. A drunken cowboy yelled out to her “Honey, with winnings like that, you ought to call yourself Lotta Denero.” She didn’t take his full advice, but she did change her name to Lottie Deno. 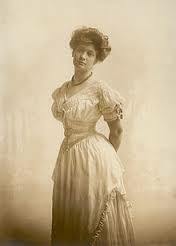 Lottie’s dress and manners were those of a genteel Southern lady. She didn’t allow cursing, drinking, or tobacco at her table. Obviously, such a gracious lady wouldn’t cheat, would she? Men lined up to play cards with the “Angel of San Antonio”. Lottie fell in love with her boss, Frank, and was loyal to him. 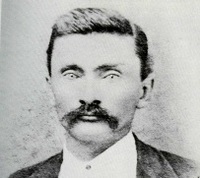 Frank was part Cherokee whose family was from Georgia. He and another player got in a fight and Frank killed the man with a Bowie knife he wore on a string down his back. The deceased man’s family put a bounty on Frank so he headed west. Lottie set out to follow Frank and searched across the state in Fort Worth, Denison, Jacksboro, and Fort Concho. This was during a local economic boom on the Texas frontier as demand for bison hides spiked in the mid and late 1870s. Cowboys and traders flush with cash during the period became targets for gamblers in frontier communities. Soon Lottie found Frank working in Fort Griffin under the name Mike Fogarty. He was bartender in a place called the Bee Hive. Lottie got a job dealing there. It was at Fort Griffin that her notoriety and legend became most established. Fort Griffin was a frontier outpost west of Fort Worth near the Texas Panhandle known for its saloons and the rough element it attracted. (Closest modern town would be Albany, Texas.) 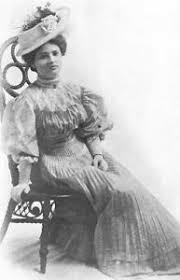 Gaining fame as a gambler, Lottie became associated with various old west personalities, including Doc Holliday, to whom she was introduced by Frank. Supposedly, Lottie won $3,000 from Doc in one night. At Fort Griffin, Johnny Golden caught up with Lottie. He died mysteriously in an alley that night. Lottie paid for his funeral and coffin, but didn’t attend. Instead, she stayed in her home with curtains drawn. After five years at the Bee Hive, Frank and Lottie left for New Mexico and married December 2, 1880. Along with gambling, they picked up a couple of silver mines and owned a restaurant. Once again, Frank was in a fight in which he killed a man. This time Lottie and Frank had had enough of the gambling life and changed course. They left Silver City, New Mexico and settled in Deming. Frank was in mining and real estate and eventually became an officer of Deming National Bank. 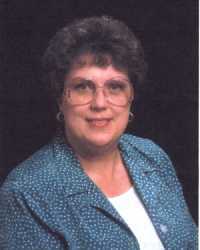 As Charlotte Thurmond, Lottie was a well-respected member of the community. Although they quit gambling, Lottie Deno hosted one more game in 1892, which may or may not have raised $40,000 to build St. Luke’s Episcopal, Deming's oldest church. Allegedly, Frank’s friend Doc Holliday participated in that game. Lottie Deno made one of St. Luke’s altar cloths but the cloth has not been located in this century. Lottie even taught Sunday School. Frank and Lottie had been together for over forty years when he died in 1908. She died February 9, 1934 and is buried beside Frank in Deming. compensate for this illogical error, she writes about handsome cowboys, feisty ranch women, and scheming villains in a small office her family calls her pink cave. She and her Hero live in North Central Texas cowboy country where they ride herd on their rescued cats and dogs. 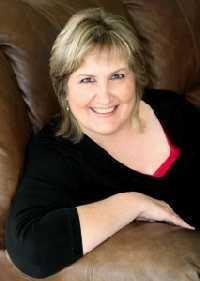 The books she creates there have made her an Amazon bestselling author and won several awards. 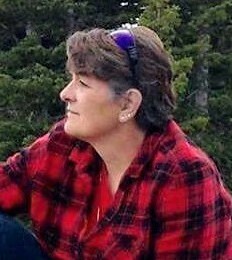 Find her on her blog, website, Facebook, Twitter, Goodreads, and Pinterest. 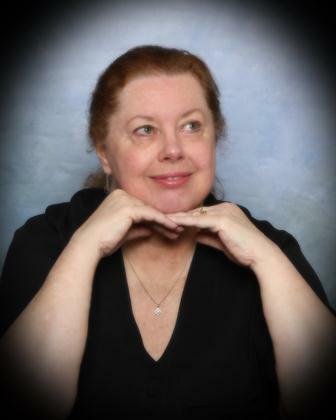 Join her Facebook readers’ group, Caroline’s Cuties for contests, news, and chats. Subscribe to Caroline’s newsletter here to keep up with new releases, contests, and receive a FREE novella of Happy Is The Bride, a humorous historical wedding disaster that ends happily—but you knew it would, didn’t you? What is A Christmas Pyramid?